I recently saw a TV for kayaks on 'Christmas sale' at BFC (Boating Camping Fishing) and decided to check them out online. 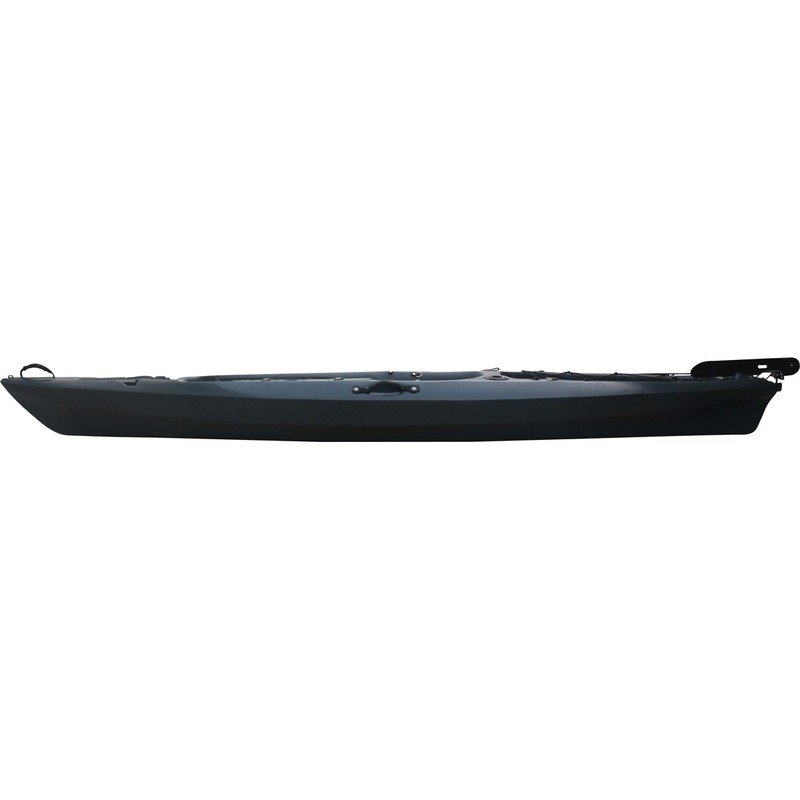 The inflatable kayak I'd bought from Aldi had been fun, but turned out to be too small to be usable for someone of my BMI (100+kg). I'll relegate that one for DS1 and DS2 to use. 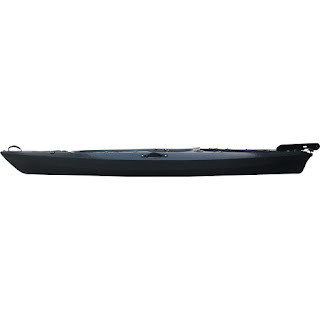 Unfortunately by the time my credit card payment was processed the next morning the last kayak of the model/colour I had ordered had just been sold at the local BFC store. I emailed a complaint to the online sales customer service and they replied very quickly that they'd arrange something to satisfy me. 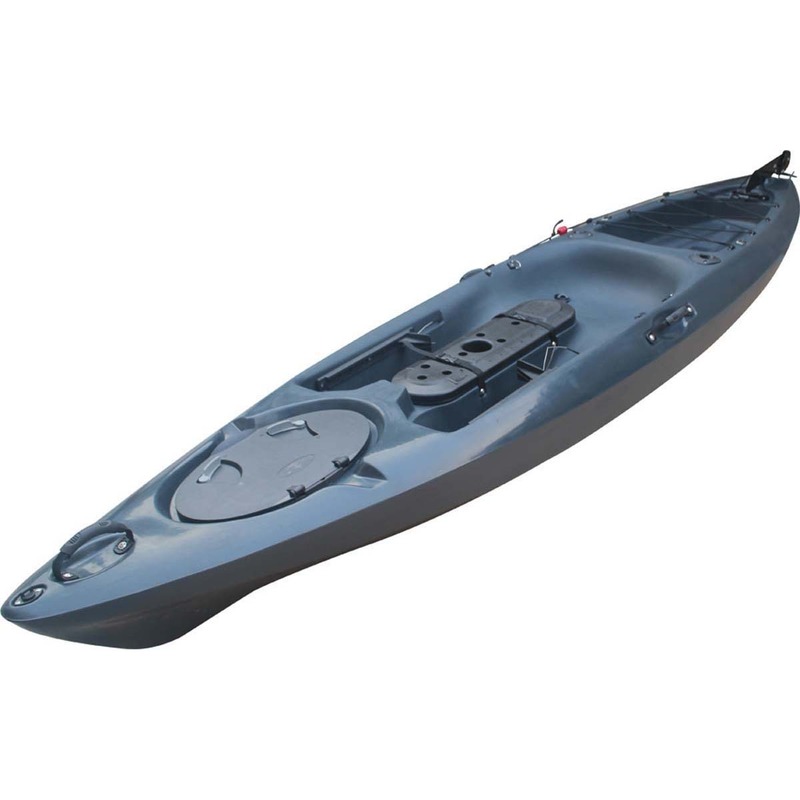 In the end it turned out that the 'Glide Explore Fishing kayak - Granite' wasn't in stock at any of their Sydney stores, so they offered to 'upgrade' my order to the 'Glide Pro Fishing Kayak' in Charcoal colour. 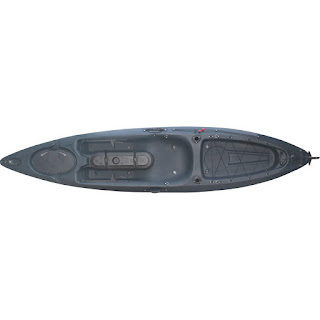 This kayak has an RRP of $699 and was 'on sale' for $559.20, so I'm very happy with the 'upgrade', although it might be more 'yak than I actually need. It is quite a bit larger (3.65m long and weighing 31 kg) but has larger capacity (180kg weight) and comes with a foot-operated rudder system. A rudder probably isn't really necessary on a kayak under 4m in length, but it makes this 'yak look a bit more 'cool' (it certainly won't be 'cool' if left sitting in the sun too long -- the darker colour (almost black) makes it heat up quite fast - even after the ten minute drive home the hull was almost too hot to touch). The extra length and weight don't seem to be an issue -- it still fitted nicely onto the roof rack of my Ford Escape (and the rear didn't stick out far enough to require a warning flag), and I had no problem lifting it onto the roof rack with another man at the BFC loading dock, or with getting it down with my 15-year-old son helping at home. At a pinch I could probably load and unload this 'yak by myself, but a mishap could easily see my straining my back or putting a ding in the car door, so it is generally a two-man operation. thanks a lot for tips. I was lucky enough to get the mottled design, one in Adelaide. Like you l struggled heaving it up to roof racks , so l invented a kayak loader to stop the strain and minimise scratching to my car. Looking for a lighter one now . Atlassian -- Darling or Dud?